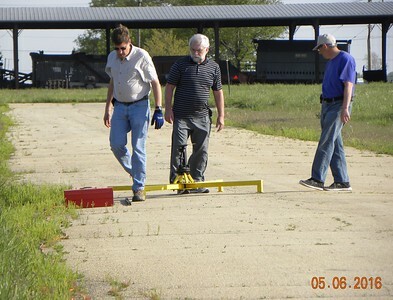 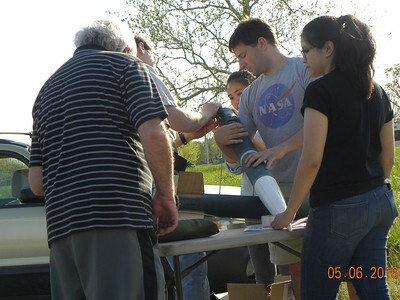 Dan West, Will Carney, and Mark Joseph set up the launch pad. 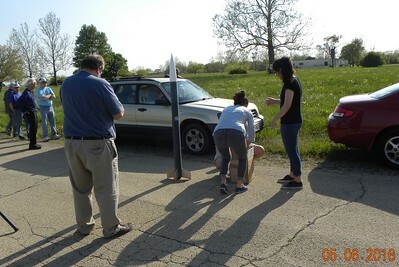 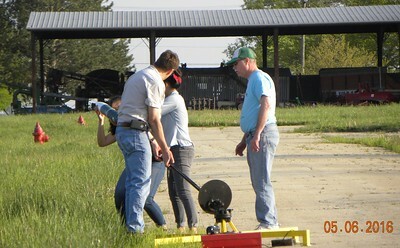 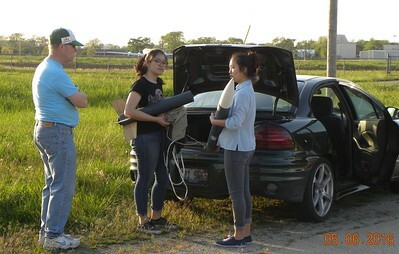 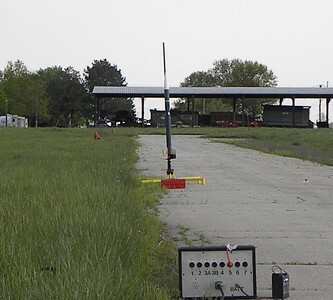 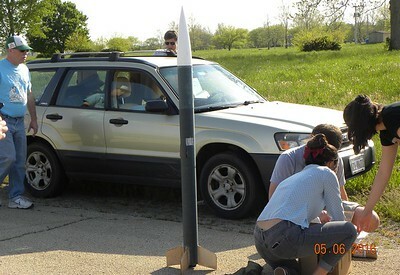 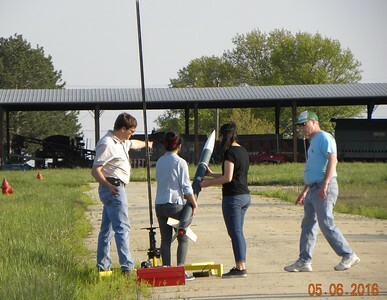 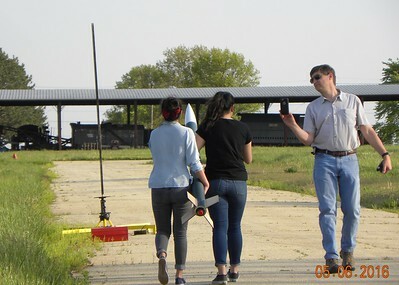 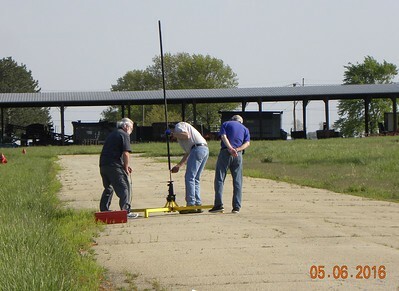 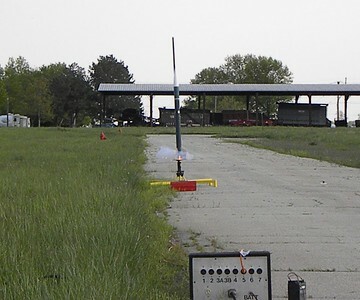 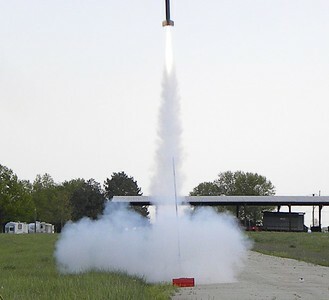 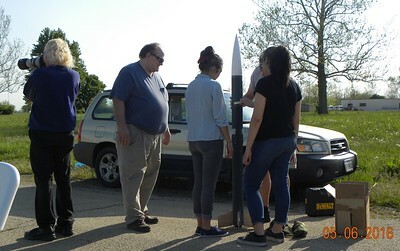 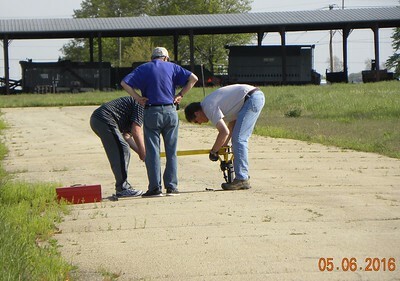 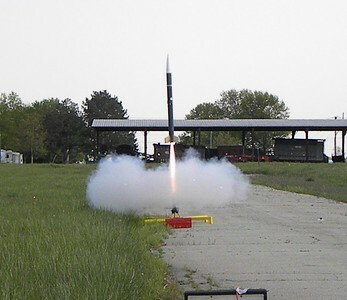 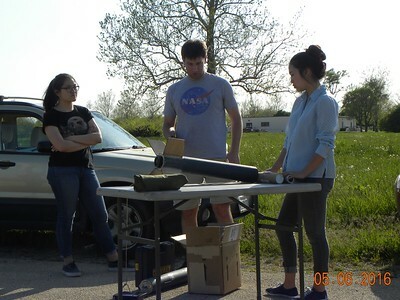 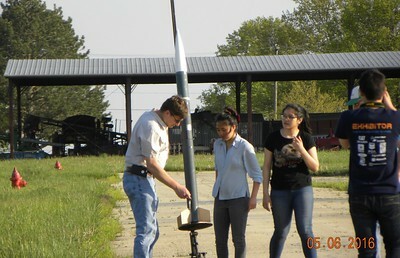 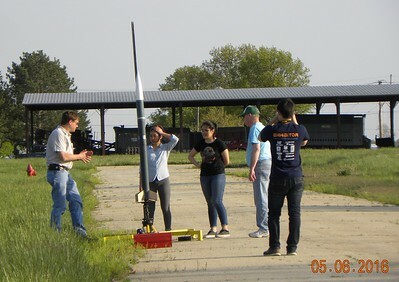 Two of the students take the rocketto the pad, while Mark captures it on video. 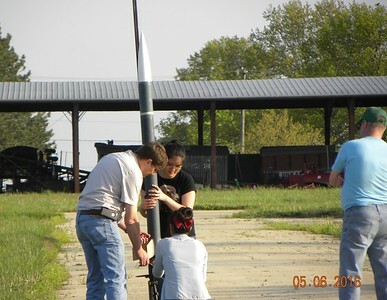 Putting the rocket on the rail, with the assistance of Mark and Jonathon Sivier. 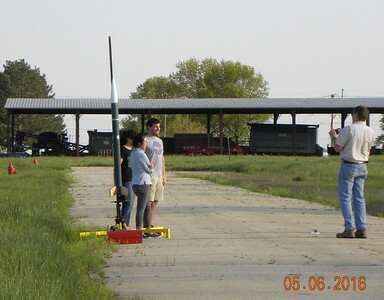 The traditional picture before launch. 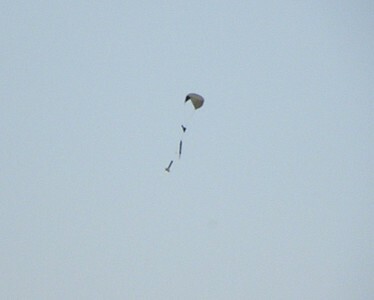 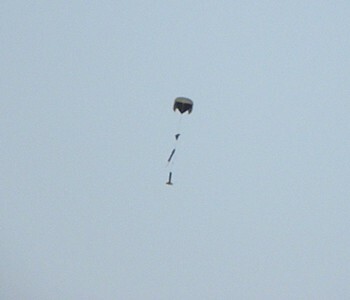 The parachute came out at apogee, and was held closed to 500 feet with a Jolly Logic Parachute Release. 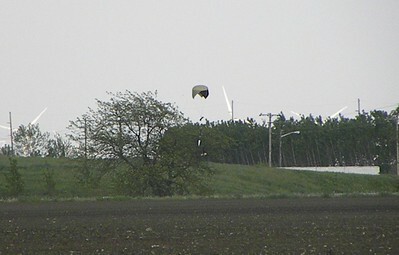 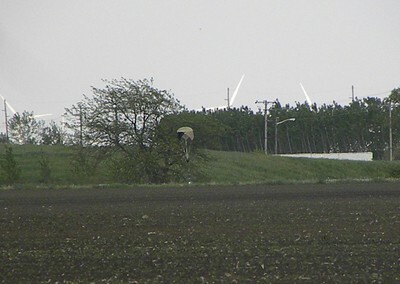 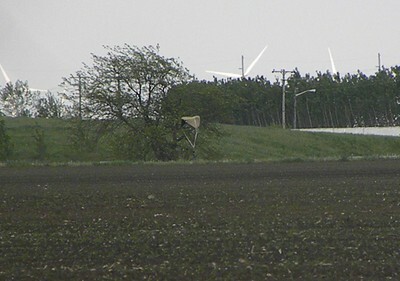 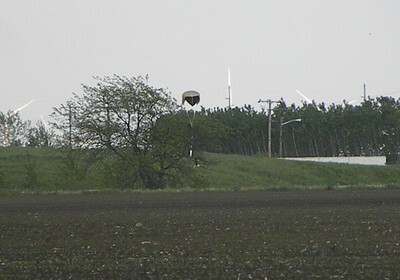 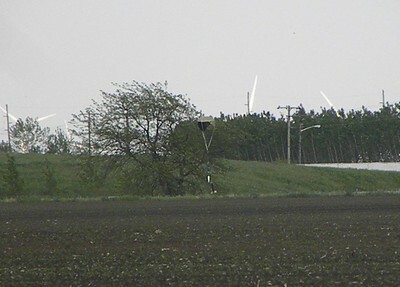 It landed in the grass at the South end of the North-South runway.